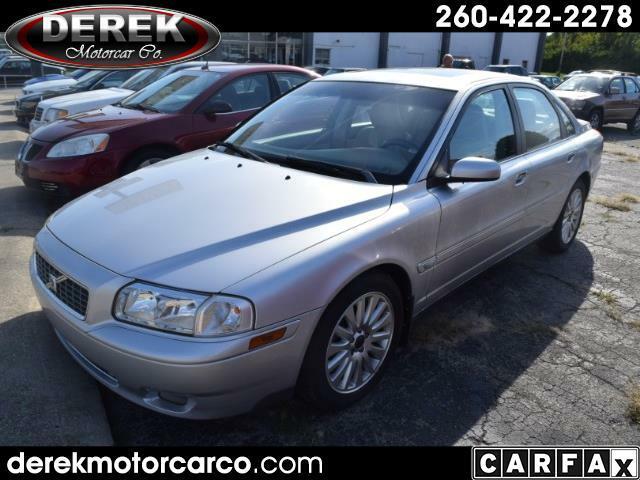 Used 2004 Volvo S80 T6 for Sale in Fort Wayne IN 46805 Derek Motorcar Co.
Great affordable transportation. Clean Carfax, no accidents, 3 owners. Driver lumbar support, Separate driver/front passenger climate controls, leather steering wheel, steering wheel mounted controls, Cruise, telescopic steering column, air, tach, power windows, heated exterior mirror, and more. Message: Thought you might be interested in this 2004 Volvo S80.